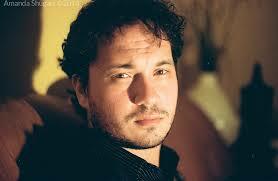 Daniel Manoiu was born in Bucharest, Romania and began piano studies at the age of five. While a student at the George Enescu Music High school, he won several awards such as the AMSA World Piano Competition in Cincinnati, Ohio, and the Rivere D'Oro Giovanni Talenti Competition in San Bartolomeo, Italy (1st prize). He holds multiple degrees in piano performance and composition. Most recently, Daniel completed his Doctoral Thesis in Theory and Composition at the University of Miami Frost School of Music, under the supervision of Dr. Dennis Kam and co-wrote the musical score for the full-length Romanian artistic movie Love as a Puzzle.